The American Acoustasonic™ Telecaster® embodies the spirit of purposeful innovation that Fender was built on. From acoustic shape-shifting to electric rhythm tones, this powerful guitar uses a revolutionary Fender and Fishman® designed Acoustic Engine to deliver new sonic expression from the studio to the stage. The clean and beautifully simple look of the Fender Acoustasonic Telecaster is designed to connect musicians to their music like never before. 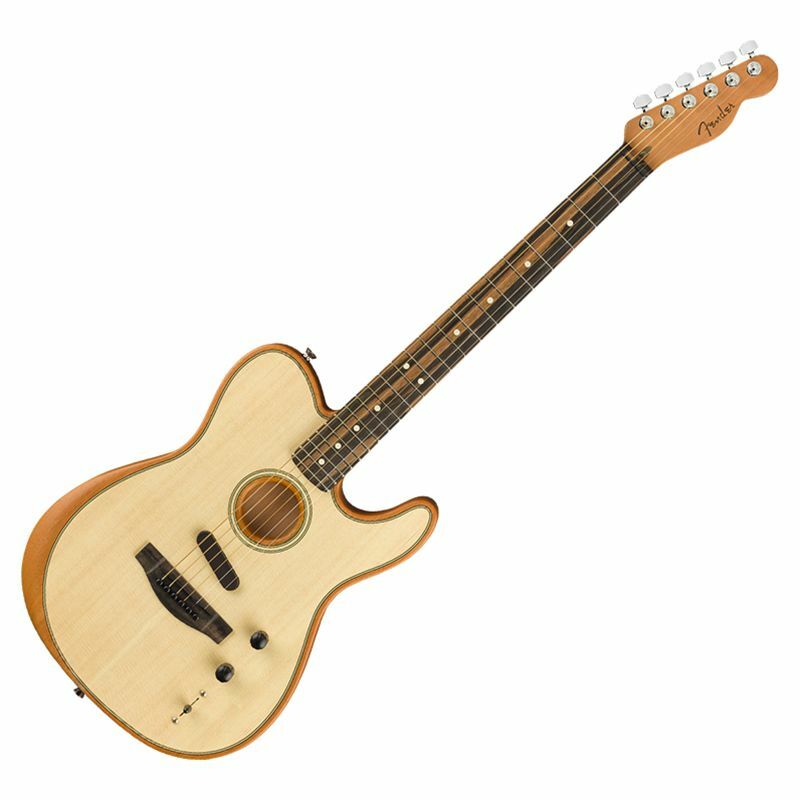 From the integrated forearm contour and deep “C” shaped mahogany neck, to the brand new patent-pending Stringed Instrument Resonance System (SIRS), This guitar is the perfect blend of future technology and the natural feel that is Fender. At the heart of the Acoustasonic Telecaster is the Fender and Fishman designed all new Acoustic Engine. This engine is a proprietary blend of classic analog and the digital future resulting in a clean, natural sound that is optimized to fill rooms. An under-saddle piezo pickup, the visible Acoustasonic Noiseless magnetic pickup, and the internal body sensor all work together to feed the Acoustic Engine. A 5-way switch allows for the selection of full, resonate curated voices. These voices can be played individually or blended together with the middle blend knob. Acoustic and electric sounds can also be played simultaneously. There are no special breakout cables needed, just plug it into your favorite amp and start playing.